First things first. 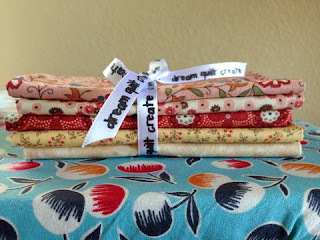 My friend Cynthia at Dream Quilt Create blog is having a giveaway starting today until Sunday at midnight. 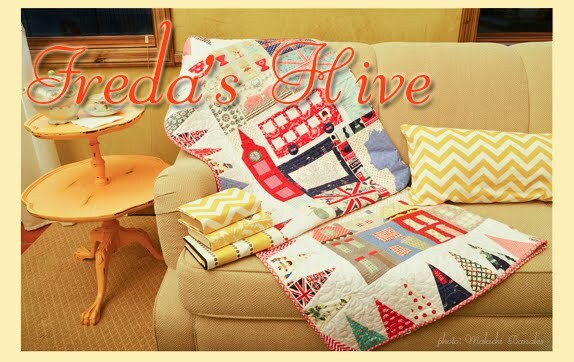 Cynthia is fantastic and I love trading tips with her and visiting her blog. Cynthia is giving away 5 fat quarters from Simple Abundance by Camille and Bonnie. 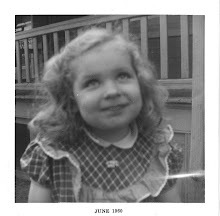 There are a few rules to enter her giveaway. So run off to Cynthia to enter to win the fabric. Click here. And then come back to see my hex sign/Pennsylvania Dutch fabric. Go ahead. Go visit Cynthia and I'll wait for you to come back. Ok. I've had some fabric I've accumulated to go with my barn quilt. I think this gray, red, green and white fabric would make a great border fabric for my barns with hex signs. What do you think? There is also this fabric with the little Amish couple and hex signs on it as well. 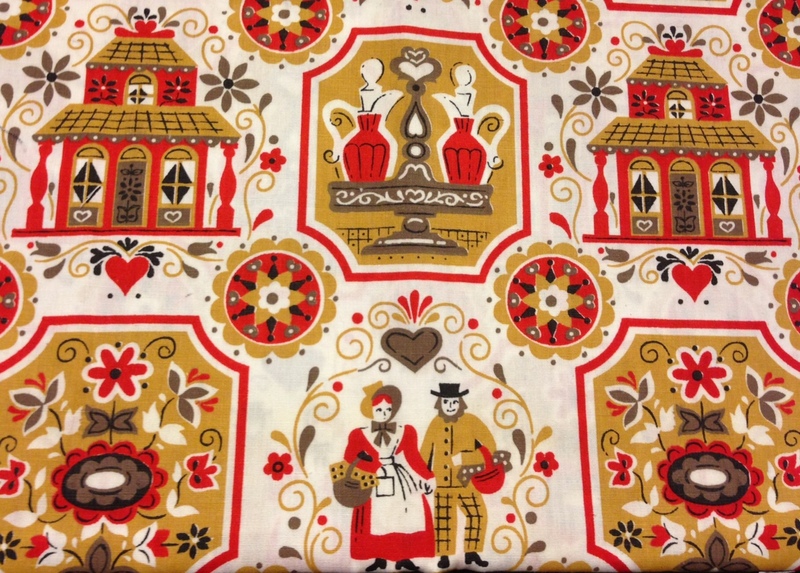 This would work as an alternative fabric with red, gray and white on the border. I like both fabrics. I'm not sure what I should use. Hmm. Thank you for sharing Cynthia's giveaway. Fingers crossed! Hurray, fabric friday is back! 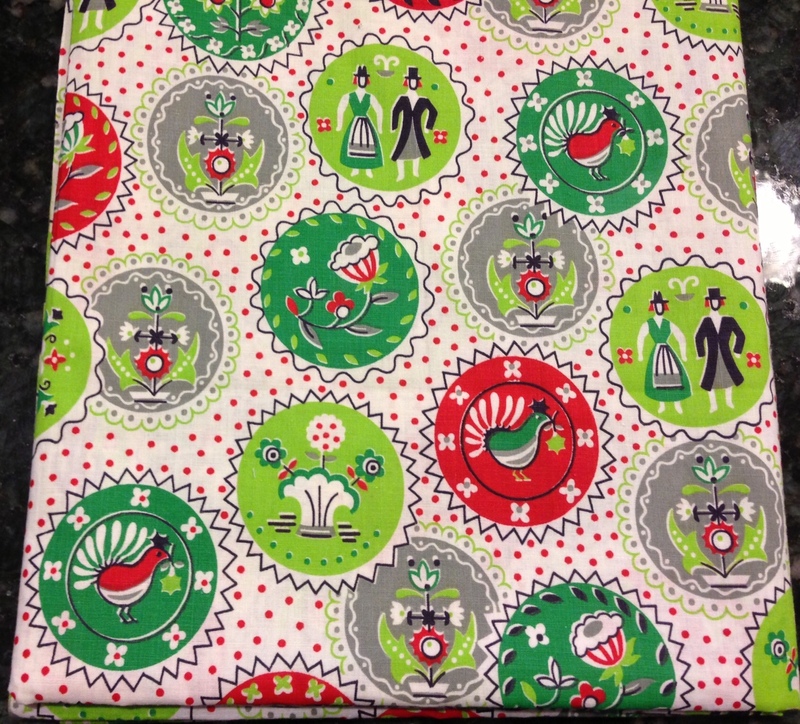 Both of those fabrics are adorable, but I think the first one would be really cute as a border with your barns. I love when people ask my opinion. I love both of those fabrics, very farmer "esque". I guess you'll have to see which one matches best when your barns are complete :). Thanks for spotlighting my giveaway. I've had a hard time leaving comments - don't know what's going on but I have loved your recent posts - especially the barns! Goodness they are cute! 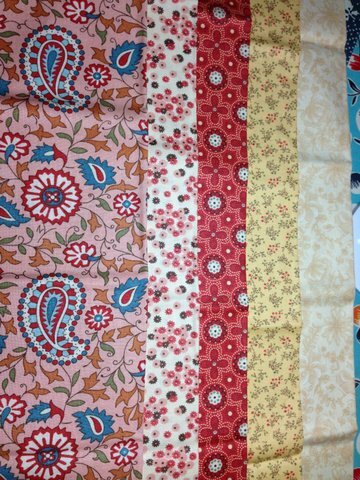 Another fabulous quilt in the making!! Both of these are adorable! I really like the first one, I think...hmm. yep I think the first one! lol. Well you def wouldn't go wrong with either! Can't wait to see it all together! Boy, that's a tough call Nanette -- they're both cute as can be. Are you all done with the barn blocks? I think I'd get them all together and then decide!